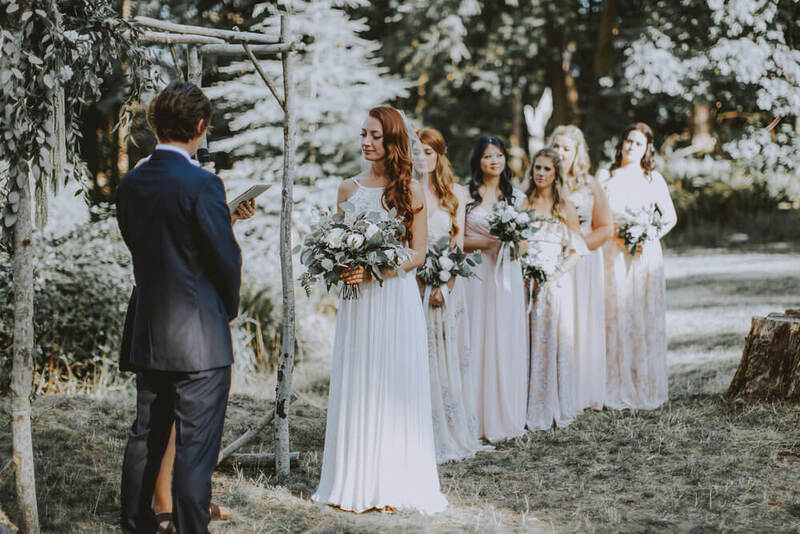 Known as one of BC’s best destination wedding locations, our site is an oasis of fun activities, gourmet cuisine, and spectacular natural beauty making it the perfect place your for big day. 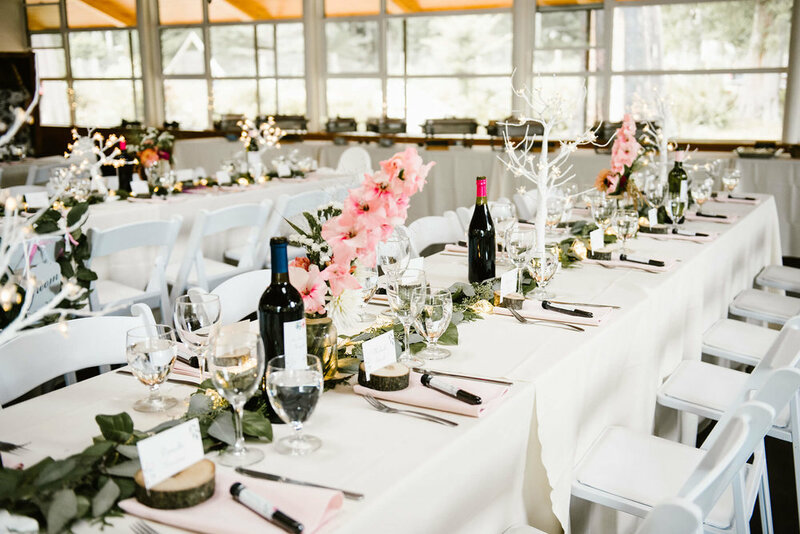 You will enjoy a gourmet wedding banquet while surrounded by calming forest and ocean views, and spending time celebrating with your guests. 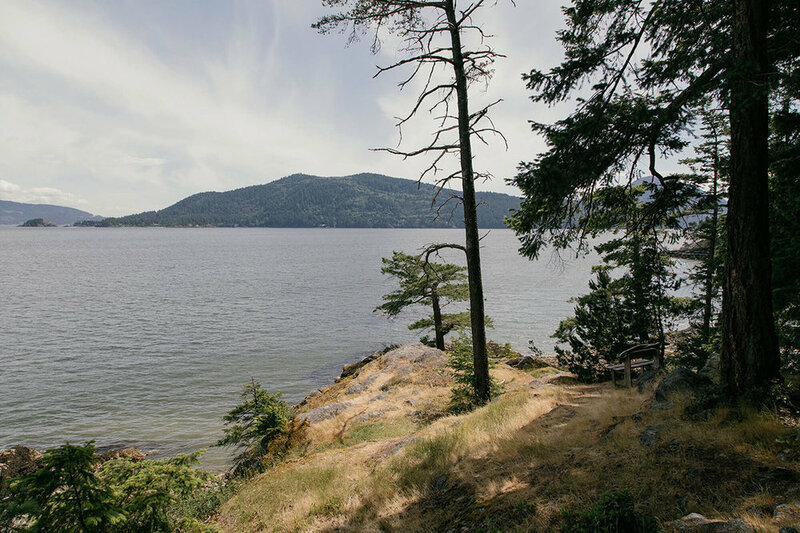 Hiking the old growth forest trails and canoeing the calm waters of Halkett Bay give family and friends a chance to create memories together. 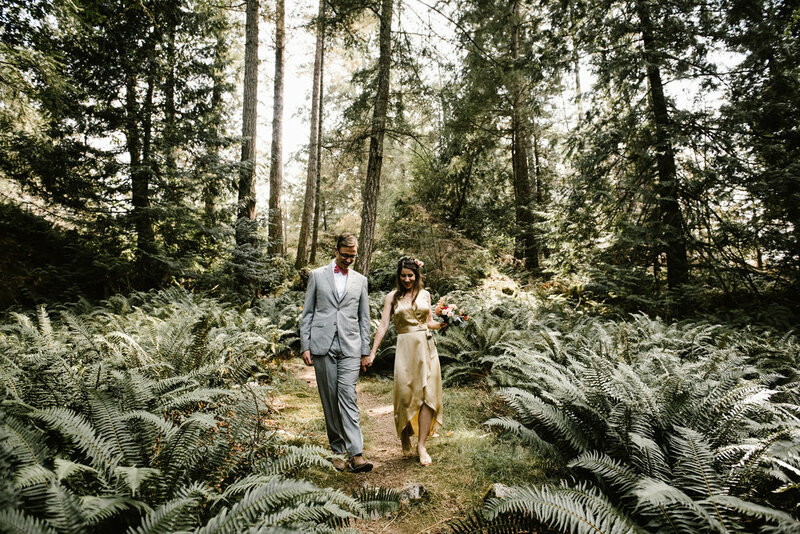 Fircom is a natural, affordable choice for a destination wedding in BC. 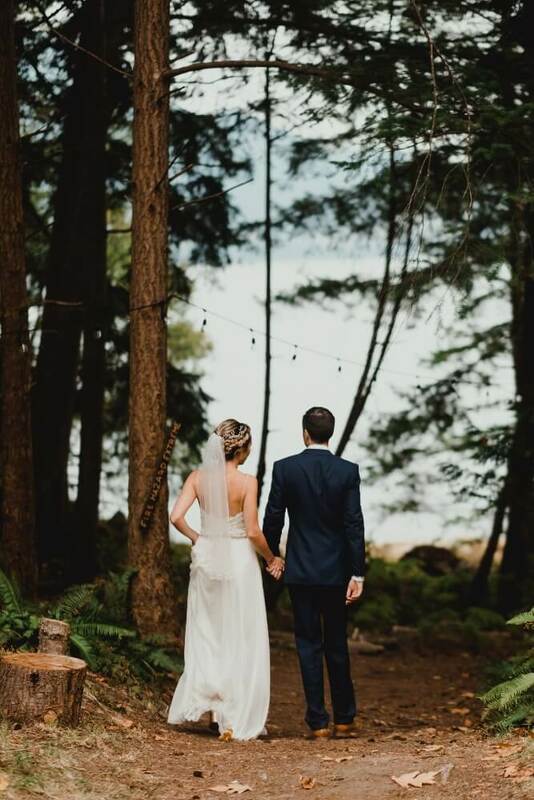 Located on Gambier Island, only one-hour from downtown Vancouver, your guests won’t have to travel long to feel miles away from it all. 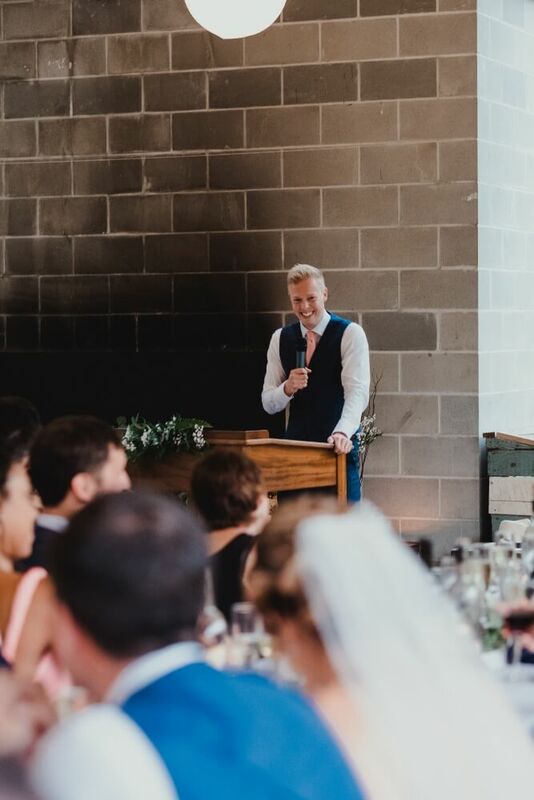 Fircom provides you with a wedding consultant who will ensure that our venue suits your needs, and will be present during your wedding to ensure everything is running smoothly. 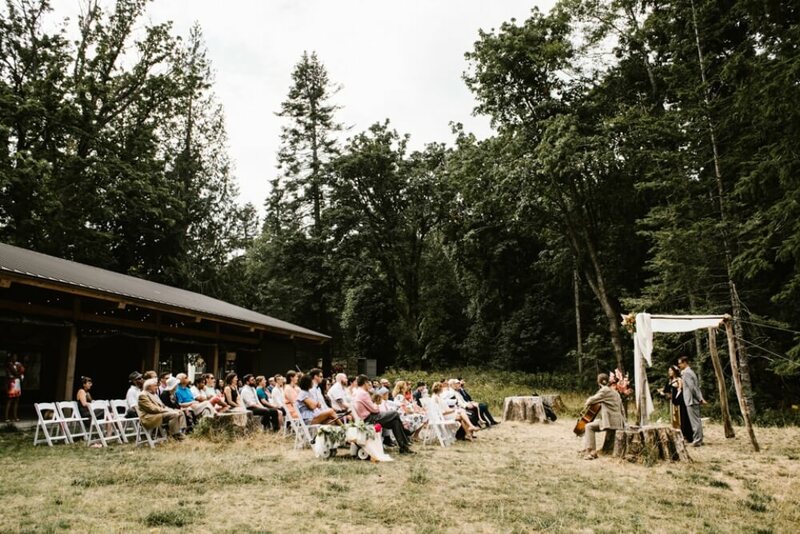 Our wedding package includes a team of fun, friendly staff who manage the set-up and tear-down for the reception/ceremony/party, serve hors d'oeuvres and dinner, and run adventurous programs like canoeing, kayaking and archery for your guests. 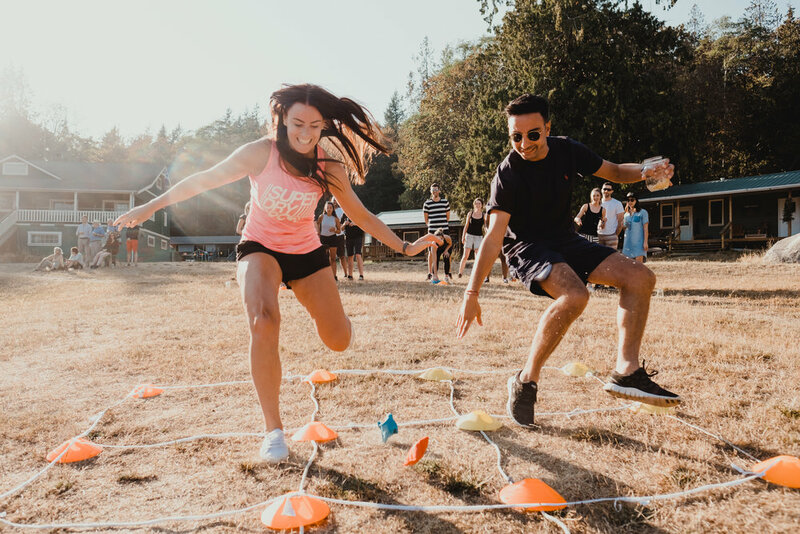 Fircom is a great way to bring together a large group of family and friends for a weekend getaway wedding in a green outdoor venue. 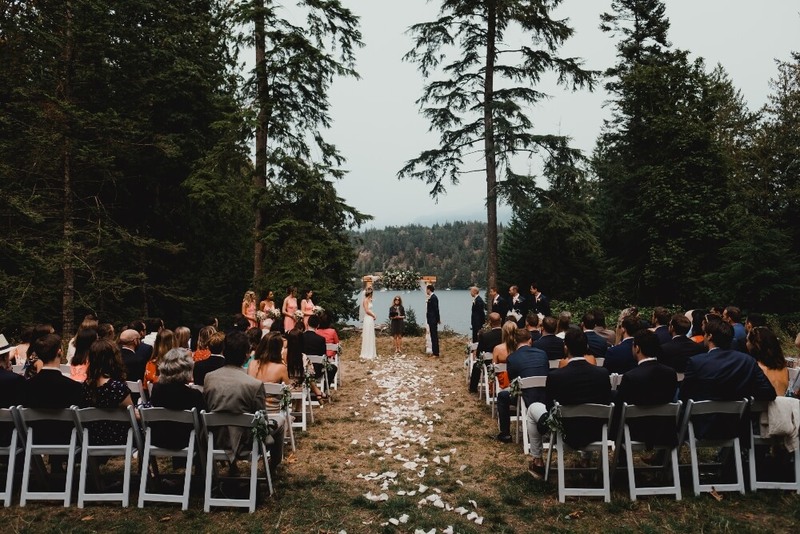 When it comes to island weddings there is nothing in the Howe Sound that can compare! Fircom is an off-the-grid location that creates its own power, runs on artesian wells, and manages its own waste through its farm and compost system. 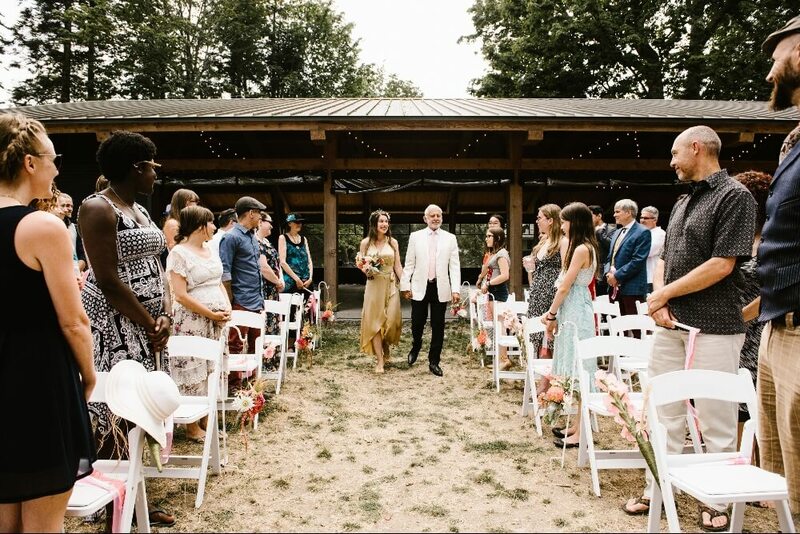 When you come to Fircom not only are you choosing a low waste wedding, you are helping a non-profit continue to run incredible summer camp programs at accessible prices. 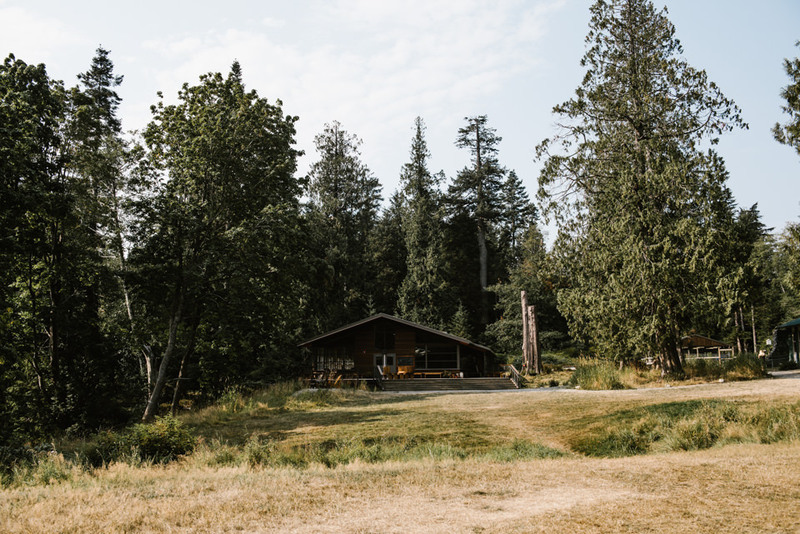 Camp Fircom has a long history of helping families and kids from the Downtown Eastside get out of the city and into nature. Read more about Fircom’s philosophy. Fircom has a capacity of 150 in the fall/early spring and 200 guests in the summer. Email us today to discuss dates, pricing and a tour. We have one wedding date left for 2019: Oct 11-13. 2020 dates are moving fast so inquire soon! The following dates are still available: Sept 4-6, Oct 2-4, Oct 9-11. All other 2020 dates are booked or have holds on them. 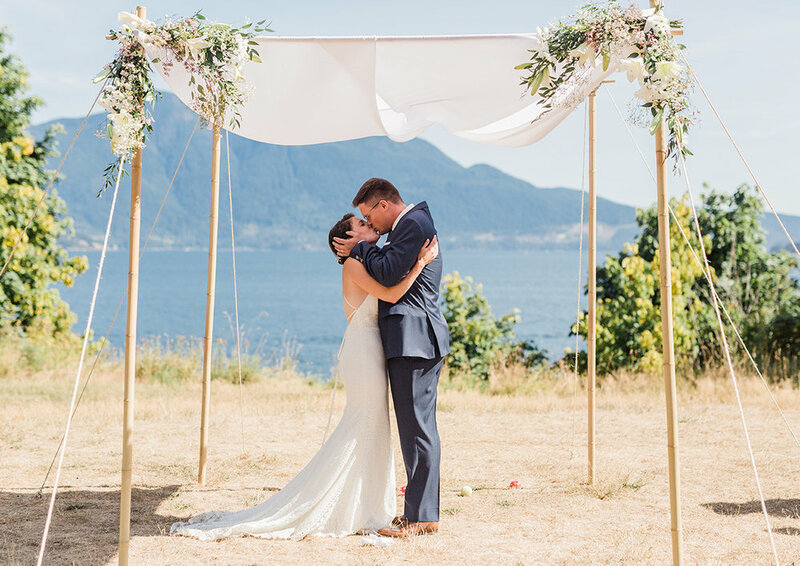 One of the favourite spots for wedding ceremonies, the main field in front of Jubilee Hall looks onto the Howe Sound and the North Shore mountains forming a spectacular backdrop. The large, flat field works best for large groups (120-200 people). Power cords can be run out from Jubilee Hall for sound systems. The Dining Hall Field is across the stream from the Main Field and is a perfect spot for a cocktail hour. The tall trees on the east and west sides of the field offer soothing afternoon shade and the close proximity to the Dining Hall means seating dinner is a breeze. Jubilee Hall is a heritage building erected in 1935 which was completely renovated in 2010. It has one large and one small room making it the perfect spot for creating separate evening programming options for kids and adults. 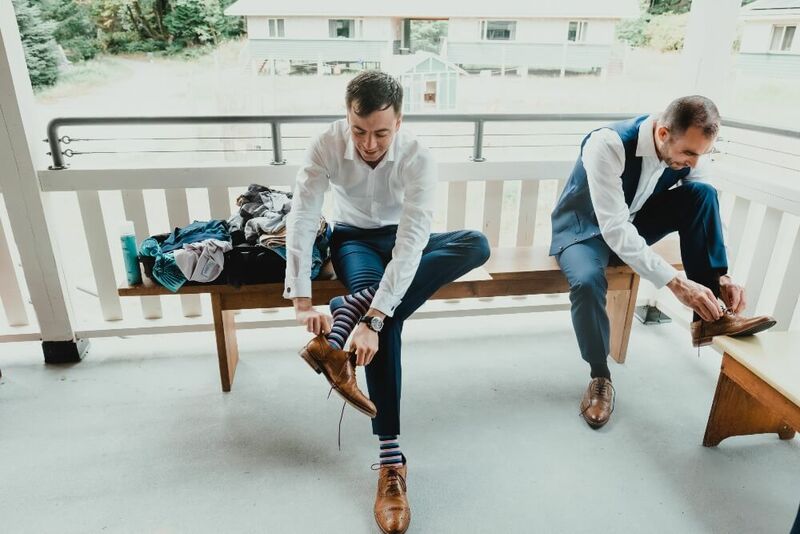 Many brides enjoy making a grand entrance to their ceremony coming down the steps of Jubilee Hall or some grooms like to use it as their get-ready spot to play foosball and sip champagne with their best friends. 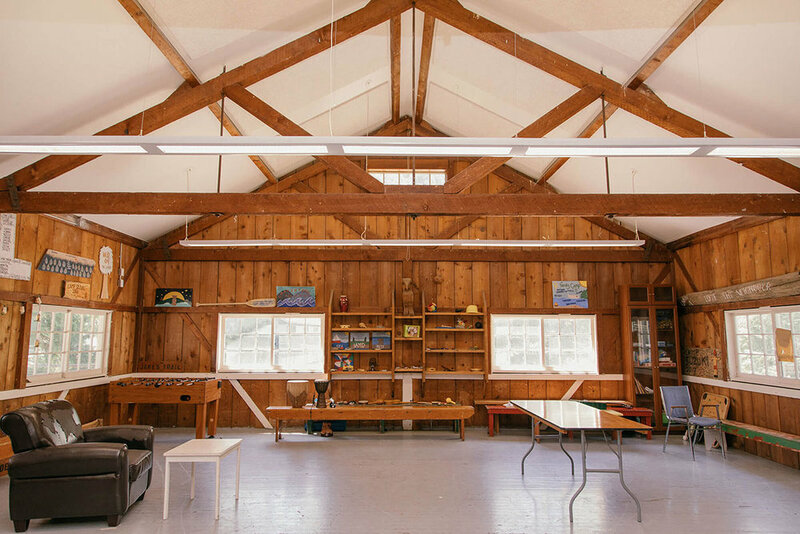 The Dining Hall was built in 2013 with beautiful wood beam ceiling, skylights, and wrap around windows for plenty of light and gorgeous views of the woods and ocean. 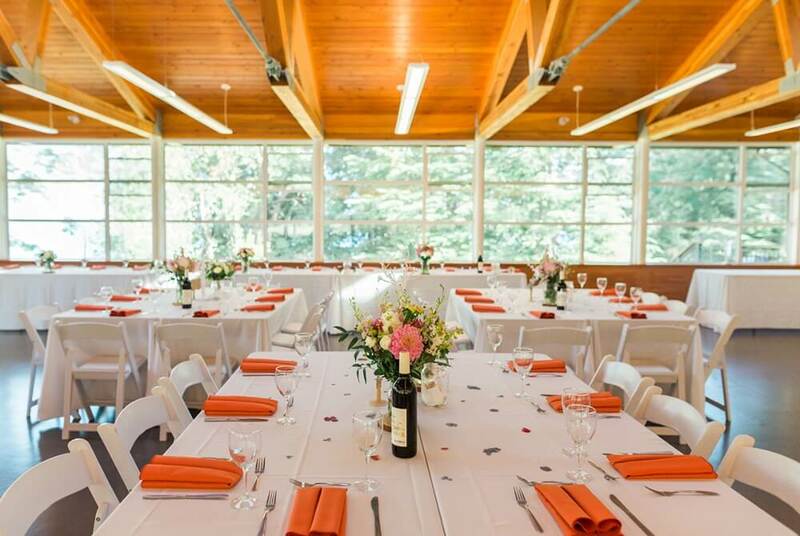 The Dining Hall can hold 200 people for a seated dinner. Food is served buffet style inside the Dining Hall for smaller weddings (80 or less) and down the outside wrap-around porch (80+). Family style service is available for an additional fee. Attached to the back end of the Dining Hall, the Breezeway is a large undercover space which serves as a perfect spot for bands, performances, bartenders, and dancing! 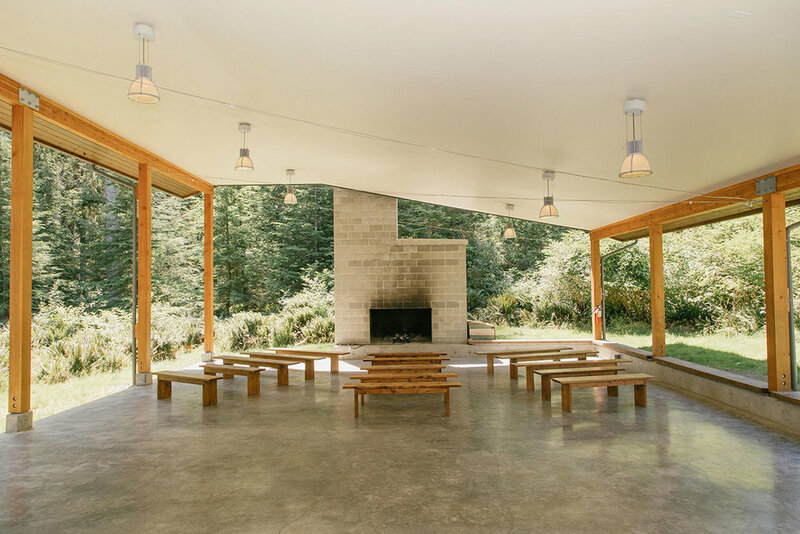 The Breezeway features a large outdoor fireplace and has plenty of room to create clusters of tables around the sides for people to gather with drinks in hand while others take to the dance floor. 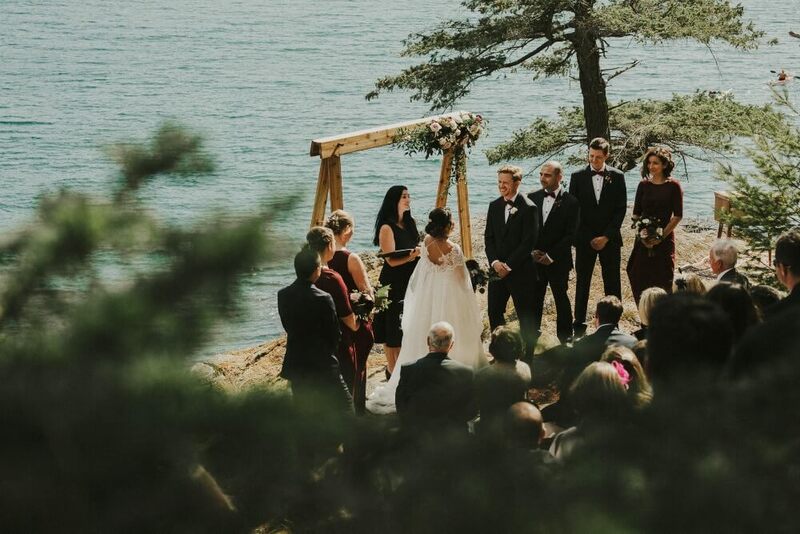 Overlooking Canoe Cove and the waters of Halkett Bay, the Promontory provides couples with a stunning BC backdrop for your ceremony. The adjacent Pavilion was built in 2013 - a 2,800 sq ft open-air space has gorgeous cedar wood interiors with views on all sides. 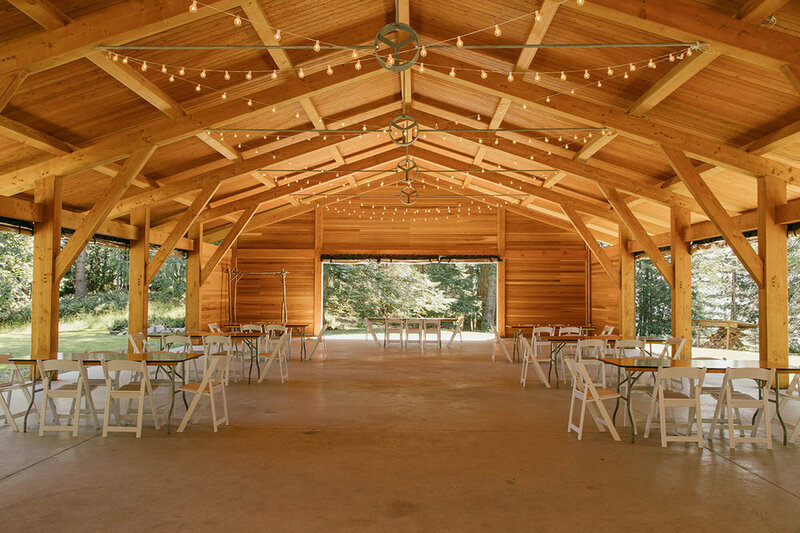 This is our outdoor covered location for rainy day ceremonies where your guests can be dry and warm and you can have a beautiful natural ceremony you wanted. It has power for sound systems and is a great spot to hold your cocktail hour on rainy days as well. Winding down a narrow path behind the Dining Hall towards the ocean, guests will find themselves entering our outdoor chapel. Two massive old growth Cedars (nicknamed Peter & Paul) mark the entrance to a serene wooded clearing. Benches line the perimeter making this intimate space perfect for up to 80 people. Overlooking the Howe Sound, tucked at the end of a short path, is a beautiful terraced bluff called simply, The Benches. This small spot suits groups of 50 people or less. Guests can stand on the terraces taking pictures of the ceremony while the bride, groom and officiate stand safely near the edge of the bluff. Stunning photo opportunities! 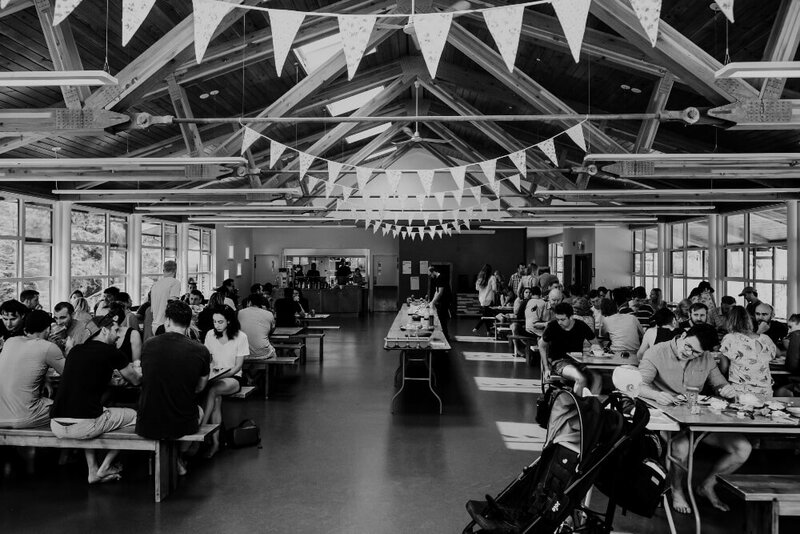 Food is at the heart of what Fircom does! Fircom has a delicious Event Menu for you to enjoy a reception meal befitting your wedding. All Event Menu meal choices will be served on ceramic dishware with water goblets, wineglasses, table linens, and napkins included. Staff will clear plates and top up water during a reception meal. Buffet or family style service are available. Fircom also offers an affordable Camp Menu for all other meals. All meals served at Fircom are delicious and homemade. 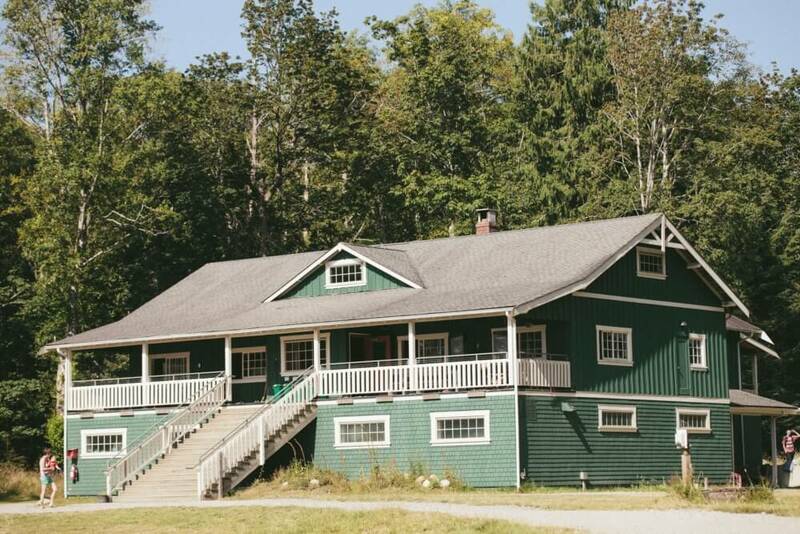 The Camp Menu meals include malmac plates, plastic water cups, service from the kitchen window in the dining hall. Guests put their scraps in the compost bin, dishes on the cart, and wipe down their tables at the end of the meal. Please read through our accommodations overview to view all our options. Fircom has 200 beds in a variety of accommodations ranging from rustic to luxury. Inquire today to get your custom quote and come on a tour!